Chatman ~ The Interactive Computer Friend is Now $20 Off at Toys ‘R Us! I'm proud to introduce you to Chatman, an awesome new device geared toward kids, ages 6-12. 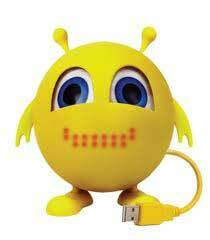 This bright yellow, interactive emoticon-like character is a child’s talking, feeling, moving computer friend for everything they do online. Chatman provides fun, social skills, homework help, and safety. In essence, Chatman offers a unique, fun, interactive experience, while keeping kids safe online. I can't wait to tell you more about this neat little guy, so please stay tuned for my full video review of Chatman coming to you in early April. Now through April 15, ToysRUs.com is offering Chatman at a special Spring Break price of only $49.99! That's $20 OFF! 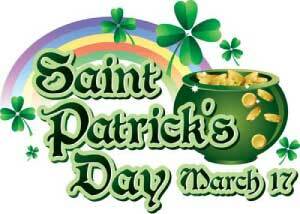 Save Some Green This St. Patrick’s Day With These Top 10 Coupon Codes and Discounts!